On July 4, 2016, the New York Times reported that Teva Pharmaceuticals wants to join PhRMA, the Big Pharma traced group: Pharmaceutical Research and Manufacturers Association of America. There’s only one BIG issue: Teva the world’s largest generic pharmaceuticals manufacturer, with a small portion of its $19.7 Billion sales portfolio in brand name patented products. The NYT story include a stock photo of Teva’s Hungarian sterile injectables manufacturing facility. 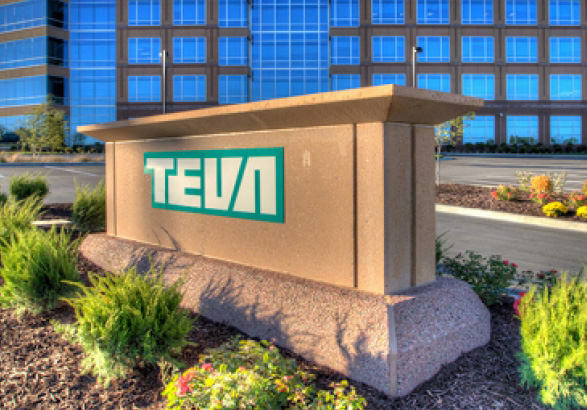 Teva has manufacturing sites in the US and Internationally, making oral dosage forms as well as sterile injectable pharmaceuticals. In 2012 Teva invested $100 million to establish the sterile injectables facility in Gödöllő, Hungary to supply products for patients in 70 countries including the United States. The FDA has inspected Teva’s Hungarian facility several times, the last being a 9-day visit in January 2016. During the last visit, the FDA issued a yet-unpublished violation letter for Teva’s failure to comply with Current Good Manufacturing Practices (cGMPs). Just 4 months later, on May 29, FDA issued an Import Alert allowing Customs to block importation of all sterile injectable products manufactured by this Teva plant, with the exception of two drugs on the FDA Drug Shortage List: the chemotherapy agent bleomycin and the antibiotic amikacin. The Hungarian FDA (OGYE) provided some additional insight by stating Teva had temporarily stopped production after the FDA January Inspection, and OGYE Director General went on to say “based on currently available information, products on the market are safe--the FDA primarily objected to the production environment.” Who are we to believe? To recap: Teva ran afoul of several FDA inspections for its sterile Injectables manufacturing facility in Hungary, it earned the FDA’s wrath for years of continued non-compliance of cGMPs with a yet-unpublished warning letter, and then just four months later FDA stopped US importation of all but two of the Teva injectables. You have to wonder about the pharma manufacturing and regulatory professionals at Teva, and their Executives, over their ability to identify, address and correct very serious manufacturing flaws for sterile injectable products manufactured offshore and then sold to US patients. How many Teva products, doses and patients were ALREADY exposed to the drugs covered by the “still-hidden” FDA Inspection report and importation alert? As the spokesperson of the Pharmaceutical Integrity Coalition (PIC), I wish to share our organization’s position on Teva’s attempts to join PhRMA. We are concerned by both the generic manufacturers and big Pharma. Both show a growing legacy of off-shoring. Today over 80% of America’s prescription pharmaceuticals are manufactured in India, China and other countries. The FDA continues to find serious failures at these offshore facilities, failures that allow adulterated, contaminated, subpotent and superpotent drugs to enter our marketplace. The FDA often finds itself between a rock and a hard place. Do we stop defective and potentially dangerous rugs from coming into the United States or do we ban them creating shortages of life saving drugs? Our Coalition’s goals are simple: stop contaminated and questionable potency pharmaceuticals from entering the US commerce stream and reaching patients, and restore integrity to our profession and industry. We want to precipitate “the beginning of the end” of cGMP violations from manufacturing of America’s Pharmaceutical products anywhere in the world, and move to a future of sustained dependability and full trust in pharmaceuticals for health and healing. It’s all about why and how we grew our careers in the Pharma industry, to help people, and the only way we know how to practice our CM&C craft. The Times story and photo of a now disgraced Teva facility is good way of getting the dialogue started. If you or your colleagues, anywhere in the world, have evidence of significant cGMP deviations in the last 6 years for American-bound DS or DP, contact us confidentially by emailing us at: [hidden email] ... or call us in the US on +001-202-780-9957. We help match would-be whistleblowers with CM&C experts and qualified lawyers to ensure they receive the highest awards possible and protection from retaliation. There is no fee for our services. The Pharmaceutical Integrity Coalition (PIC) is an independent Advocacy Group, with no ties to the Pharma industry.